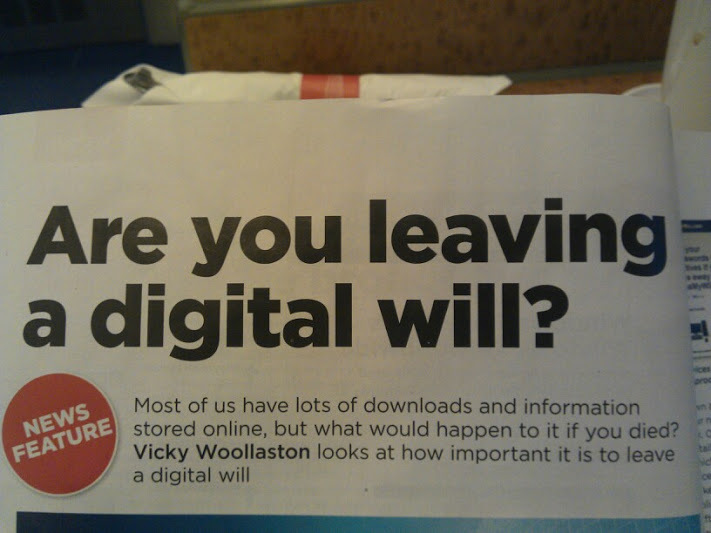 Are you leaving a digital will? On Thursday Google announced a new feature called ‘Inactive Account Manager‘, described first in the Google Public Policy Blog. About 18 months ago I was reading a copy of Webuser magazine which brought to my attention for the first time the idea of a digital will. Well on Thursday Google announced a new feature called ‘Inactive Account Manager‘. This setting allows you to have all (or parts) of the data you have stored with Google sent to someone (or some people) if your Google account remains inactive for a set period of time. Mobile verification is required to set this up, and a text message is also sent to the provided number before any data is actually forwarded to your chosen recipients. Finally, for the recipient to download the data, they also must confirm their identity via mobile verification. Hopefully this will start a trend of companies offering such features.